Summary: In order to further promote the rapid development of cross-border e-commerce industry and give full play to the service promotion role of trade associations, on the afternoon of January 30, Shandong Province Cross-border Electronic Commerce Association Secretary Generaleral Yang Wenjie, Shandong Cross-border Electronic Commerce Association Du Zhao and other leaders visit to China Transport accompanied by Jining City Commerce Bureau Foreign Trade Section Chief Zhou Wenjun. This visit aimed at inspect the development of China Transport cross-border e-commerce, China Transport Executive Deputy General Manager, Jining Cross-border E-commerce Association President Li Zhenbo, China Transport Deputy General Manager, Jining Cross-border E-commerce Association Secretary General Guan Chenghui accompanied by the reception. In order to further promote the rapid development of cross-border e-commerce industry and give full play to the service promotion role of trade associations, on the afternoon of January 30, Shandong Province Cross-border Electronic Commerce Association Secretary Generaleral Yang Wenjie, Shandong Cross-border Electronic Commerce Association Du Zhao and other leaders visit to China Transport accompanied by Jining City Commerce Bureau Foreign Trade Section Chief Zhou Wenjun. This visit aimed at inspect the development of China Transport cross-border e-commerce, China Transport Executive Deputy General Manager, Jining Cross-border E-commerce Association President Li Zhenbo, China Transport Deputy General Manager, Jining Cross-border E-commerce Association Secretary General Guan Chenghui Accompanied by the reception. At first, general lee as the representative of China Transport showed warmly welcome for this visit. 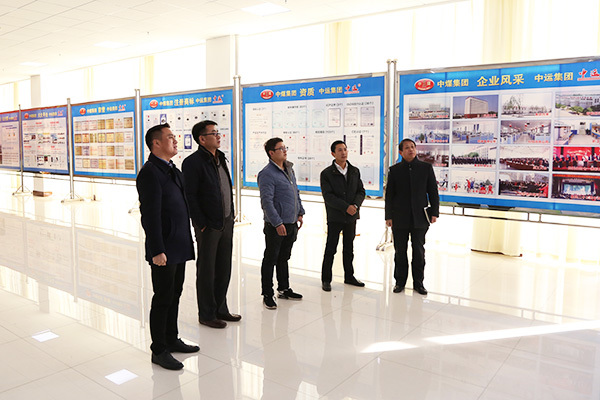 Then, the guests, under the guidance of general Lee and general Guan, were on a visit to China Transport Office Building, Culture Exhibition Hall, Intelligent Equipment Exhibition Hall, E-Commerce Company, Intelligent Produce Exhibition Hall, Cross-Border E-commerce Company, Network Information Center, Software Technology Company, Agricultural Science and Technology Company, Carter-- Intelligent Robot etc. 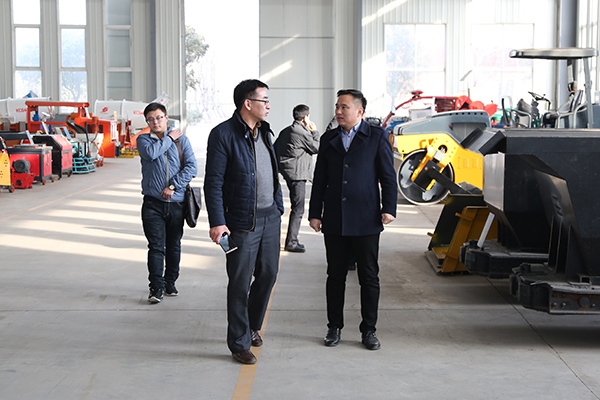 In this visit, general Lee made a brief introduction on the whole development trend of China Transport and elaborated on major breakthroughs achieved in the fields of e-commerce， cross-border e-commerce and the construction of e-commerce platform. He also introduced the major plan for guiding the development of our company. In recent years, by proactively responding to national export foreign exchange policy, striving for expanding foreign market and developing cross-border e-commerce , China Transport has registered “China Coal” trademark in 37 nations and regions, including EU, the USA, Russia, the UK, Taiwan , Indonesia, Israel, and obtained the rights of using the trademark from 20 members of EU, the USK, Taiwan, Macao, Singapore. All of these added efforts facilitated our company to broad overseas market and speed up the rapid development of our cross-border e-commerce. At present, the products of China Transport are best-selling in 151 countries and regions in the world , such as the United States, Russia, Australia, Georgia and Austria. The number of customers in the world reaches 480,000. It has been rated as the integrated innovation demonstration enterprise of cross-border e-commerce by the Ministry of Industry and Information Technology and the key enterprise of cross-border e- commerce. It also has been spoke highly of by the state and provincial leaders many times. While actively expanding overseas business, China Transport has also vigorously developed the construction of B2B platform, and independently developed and operated six major cross-border e-commerce platforms that include Yikuang network, China's logistics Internet of Things, China Agricultural Network, China Motor Transport Network, a travel network, the sea Amoy network, of which Yikuang network as the first industrial and mining machinery manufacturing industry cross-border B2B e-commerce platform create the initial e-commerce platform for mechanical industry both at home and abroad . 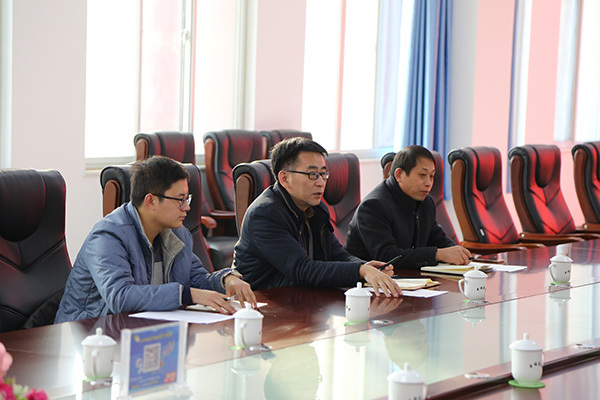 It has been classified as key project of cross-border e-commerce to support and key e-commerce platform in Shandong Province due to the great contribution made to propel the transition and upgrade of national mining machinery industry and promote global mining machinery industry to a better future. 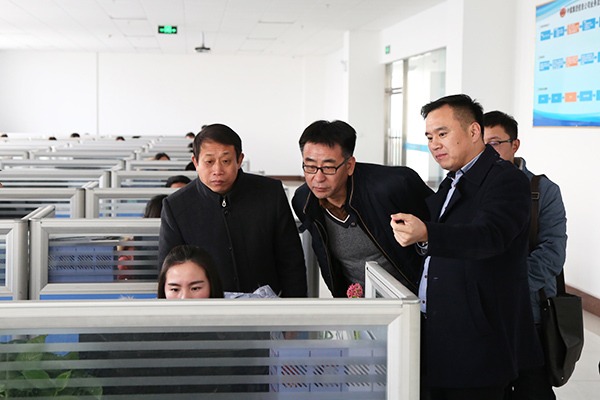 In order to unite enterprises worked on cross-border e-commerce in Jining and expedite the transition and upgrade of the city’s import and export companies, China Transport also initiated to establish Jining Cross-border E-Commerce Association.The association with China Coal Grouop as president is guided by Jining Municipal Bureau of Commerce and was announced to set up by Jining Municipal Government.It is a local, joint, non-profit organization, which was co-established by enterprises, institutions and individuals engaged in cross-border e-commerce. 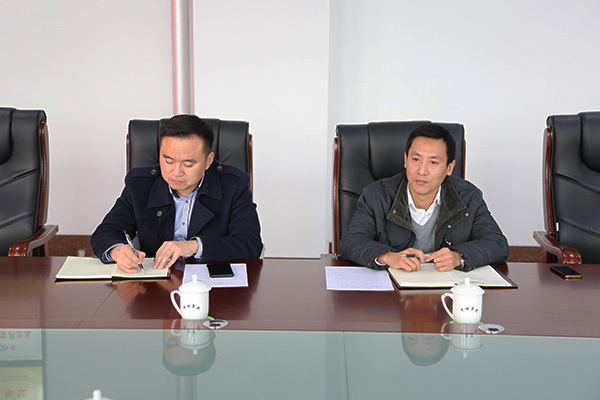 Next, the association is going to strive for creating an essential platform for exchanging and cooperating, liaising with the outside of China and serving for society and government and jointly promote the rapid development of the cross-border e-commerce industry in Jining. During the forum, the leaders of the visiting delegation spoke highly of the Group's achievements in cross-border e-commerce and foreign trade. Secretary general Yang expressed that the development of foreign commerce is tussling with lots of difficulties in current society. Cross-Border e-commerce is a stepping stone for expanding the overseas market and cultivating competitive advantaged of foreign commerce. 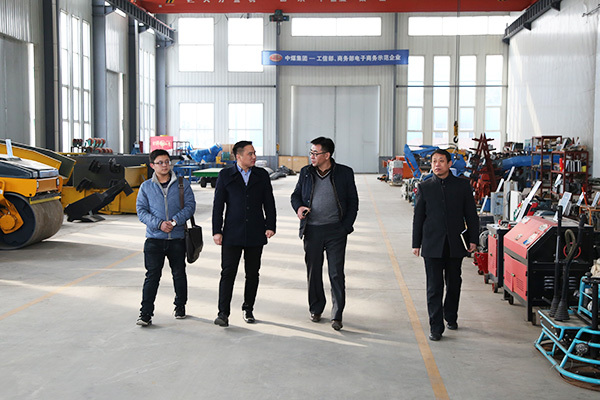 China Transport is a key enterprise engaged in foreign trade for Jining city, Shandong province, even for the whole country.What’s more, it also set up an example for the innovation and transition of marketing model in front of mining and manufacturing enterprise in China. He hoped that China Transport ,as the president unit of Jining cross-border e-commerce association,would keep playing an important role in responding to national foreign trade policy for import and export and taking a lead in scientific and technological innovation. In addition to that, he also encouraged China Transport to make more contribution to domestic overseas trade. General Lee, firstly, showed great gratitude for the leader to care of and provide support for the development of China Transport. He also expressed that China Transport will fully implement the developing strategy of pushing”One Belt, One Rode” initiative ,expand the dimension of cross-border e-commerce,enrich the market share of products produced by China Transport in the international market, speed up efforts to improve international competitiveness of self-owned brand of China Transport, strive to bring forth new situation for foreign for thee development of foreign trade and do best to make a contribution to the rapid development of cross-border e-commerce of the whole country.